In this episode, Luke & Jed get “Dialed In” with Zach Schlumpf, co-host of a new racing podcast titled “Dialed In with Jake & Zach. 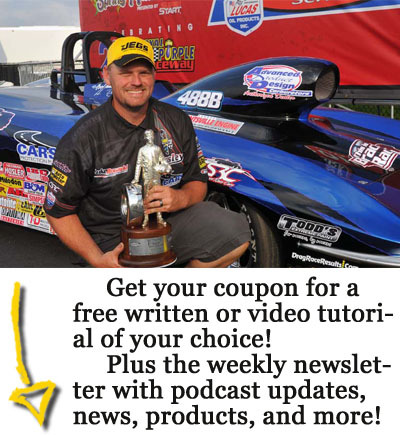 In addition, they recapped a fairly light weekend of racing action highlighted by a pair of NHRA divisional events, and previewed a big weekend of bracket finals action on the horizon. Jed, Luke and Producer Mark also weighed in with memories from September 11, seventeen years later. Previous Previous post: Episode 093: Devin Isenhower, JJ’s Top Ten, and all things Big GO!